Howdy, I am back with one final question. As some of you are aware I am taking a two year education starting in January. Big decision for me because I have to move away from home here on the island. I appreciate you taking time to read this and Thank you in advance. Comme certains d'entre vous savent que je prends une formation de deux ans en Janvier. Big décision pour moi parce que je dois déplacer loin de chez eux ici sur l'île. Je réduit à deux écoles environ 3 pâtés de maisons de l'autre. Une offre de logements, aussi bien dire qu'ils ont des taux d'emploi élevés, les deux ont le même prix. etc, etc. Cependant, il y a une chose où ils diffèrent légèrement et qu'il est fini. Bien qu'ils fournissent tous les deux relitively même, il y a des changements et je ne peux pas décider plus benifit à long terme. 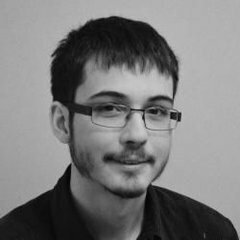 Longue histoire courte, qui pensez-vous serait plus me benifit à long terme pour devenir un Enviromental Artiste général 3d. Well, they do look quite similar, really. 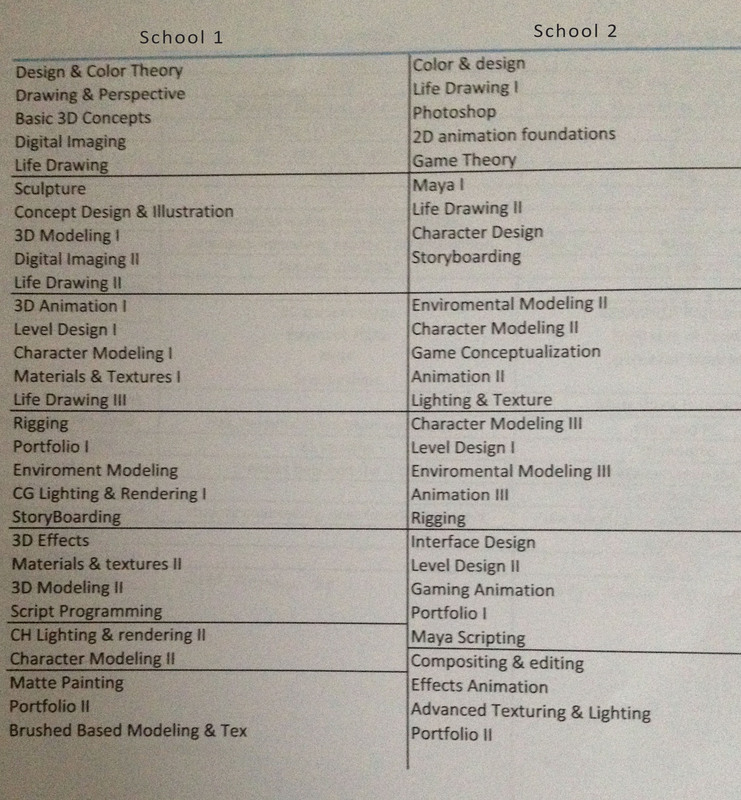 From what I can see here, School 2 as a bit more Game design related courses and more animation courses. And school 1 focuses more on the art side and less on Game and Design with sculpture and matte painting notably, and more lighting and texture classes. So, my thought here, if you really want to focus on a Environmental artist career, i'd suggest School #1. BUT what is not totally clear though, is the software used. Sure, Lighting and Rendering is probably more Film related (if it's in Maya, that is). If you really want to go in videogames, and videogames only, i'd choose whichever of those two programs that might show you Unreal or Unity game engines. Mind you, it's different, but the concepts are the same, you'd just need a few tutorials to be able to apply whatever you learned in the 3D software and apply that in a game engine. And knowing how to render and light directly in a 3D software might give you more of an edge if you ever want to work in a movie/TV company, which can broaden you job possibilities. Thank you for that. I sent school 1 an email regarding what software they use, and i have taken it upon myself to teach myself unreal as well as unity, but it would be a nice step as well. Thank you so much for the help. You did not raise more questions then answers. 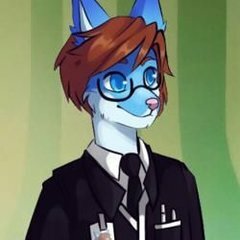 Hi, I'm one of the environment artists on We Happy Few. Both of these schools seem to have similar courses. The second one seems to have more environmental modelling courses. Although that is the case, and I know I will sound cliche saying this: It's not really about the school, it's about your self-motivation and how far you want to go. Most of the stuff you will learn, no matter the school you're going to, is on your time looking tutorials on the Internet and relentlessly trying to improve your work and asking for feedback. If I was you, I'd try to contact past graduates from these two schools and hear their opinions. It's the best way for you to find out wether or not you'll get great teachers, that will be able to guide you and give you great tips, therefore helping you to make less and less errors. PS. Your school colleagues are very important as well. You'll learn invaluable knowledge from them. It is important to learn how to approach critique and its benefits at improving your craft. Money really shouldn't be a deciding factor. Expensive private schools and classes are (probably) not going to do you more good than your typical "Diplôme d'études collégiales" in 3D.